Going on a Picnic for #SundaySupper!! Yes I still fantasized about that dreamy guy that would pick me up without me knowing where we were off to. The guy would pack a cute picnic basket fully equipped with my favorite wine, glasses, cheeses, crackers, fruit and the whole shabang! He would spread out a comfy blanket and feed me the cheese and some grapes, then the screaming baby in the background awakens me from my dream! Back to reality!! Oh and the dreamy guy……of course he’s my hubby! 🙂 So this weekend officially kicks off Summer for my family! Well I should say it usually does, it’s Memorial Day weekend, which is opening weekend at the campground we go to every summer. Why is this year different than any other year you ask? Well I’m due to have my son in 5 weeks and my camper has yet to be cleaned and opened for the summer…..UGH, we just have a lot on our plates with getting ready for baby Drew’s arrival and my husband finishing up my sister’s apartment off our house. Don’t worry it’s not stopping me from wanting a Picnic to kick off this wonderful weekend that means Summer is right around the corner!!!! I love picnics, well I never really enjoyed them until my daughter was born but since I’m a stay at home mom now, during the nicer months I just love being outside with her. Our picnics consist of packing a lunch box of sandwiches, snacks, fruit, drinks, and a blanket and heading to the nearest park!! My kiddo gets the two things she loves most, to be outside and food!! 🙂 Of course I had to take part in this weeks theme!! 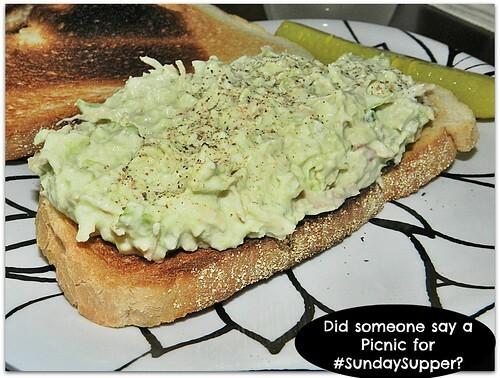 The ever so talented #SundaySupper team has brought you their favorite dishes for any picnic!! Today’s event is being hosted Katy over at Happy Baking Days!! Thanks for hosting this Picnic Katy!! What did I bring to this wonderful picnic?? Well I’ve been wanting to try this new recipe I found while searching for healthier dishes (trying to prepare for after my son is born!) I love chicken, tuna and ham salad but I know the one thing in them that makes those awesome bring anywhere sandwiches bad for you is the mayo! I don’t even like mayo however I still love the salad sandwiches! I also have a new avocado obsession so when I came across a this recipe I altered to what I would like!! I started with mashing the avocado and setting a side. In a bowl I added the chicken, sour cream, salt, pepper and green onion. I then added the avocado and mixed it all together. I added the lime juice and more salt and pepper until I got it to the taste I wanted. I toasted my bread because well I was home. Experiment and use other kinds of baguettes or breads! Check back on Sunday for all the recipes! 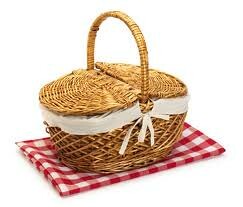 You can join in the chat on Twitter too: we’ll tweet throughout the day and share all of our picnic recipes. Our weekly chat starts at 7:00 pm EST. To join in, just follow the #SundaySupper hashtag, and remember to include it in your tweets. You can also check out our #SundaySupper Pinterest board for more delicious recipes and photos. I am on an avocado kick and trying to keep my intake at 1/2 a day….so hard not to eat the whole thing! This sandwich sounds so good! I love the addition of sour cream for the tang! I’m sure the salad would be great on its own! I normally avoid chicken salad because I don’t like mayonnaise so this looks incredible. I love the idea of adding the avocado for the creaminess! I am sure you didn’t miss the mayo at all. Pinning on my Recipes to Try board. This would even be perfect on crackers as an appetizer, I am thinking. Avocados and chicken go so well together! Hi. So, you have leftovers, right? Oh the versatility of avocados! I love how they can be a substitute for mayo and much more. I think you can totally be excused for not having that camper ready yet – take it easy!! Great recipe for an easy meal for a picnic or meal – I’m in need of lots of these for the summer months. Yum! This looks right up my alley! I’ve replaced mayo with avocado in coleslaw before but never thought to do it in chicken salad. I’ll definitely be saving this! PS…I will never look at a giraffe again without thinking of “giffys.” Too cute! What a simple and delicious sandwich!!! LOVE the mix of chicken and avocado! I am starving right now and that is killing me!! What a great sandwich!! I normally shy away from chicken salad since I really hate mayo. Your recipe though is right up my alley. Cannot wait to try it out picnic or not. This brought back tons of memories of my mom and grandma making lunches over the summer. They love avocado, and I loved chicken salad (no avo). Mmmm….love your recipe! I can see myself eating this all the time for picnics (which I love!). Thanks for sharing! This sounds amazing! I love avocado with anything. lol I could live on them. We love to camp too. This is a great sandwich to add to my arsenal. Oh my gosh, I am going to try this as soon as I can. I think it looks even better than the mayo version, since I’m avocado obsessed!! Love the addition of the avocado. . . I LOVE them! this is great! That does sound dreamy, and so does this chicken salad. Yum! 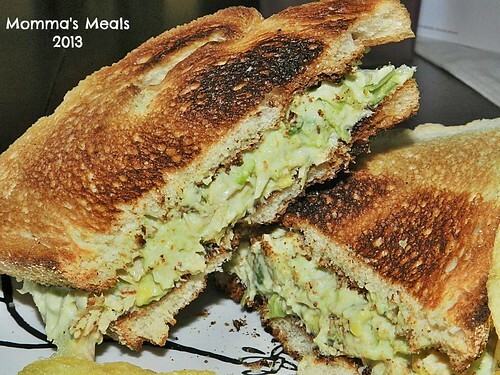 I’m a huge fan of avocado chicken salad and most especially love it on a toasted sandwich like this. Looks fabulous Tammie! I cannot believe the baby is almost here…. Seems like just yesterday you announced it. I’m thinking of you! I love toasted sandwiches and this sounds so good with avocado. Definitely a recipe to try this summer! Girl, you’ve got so much on your plate and you were still able to make these incredible, creamy, delicious sammiches! I’m obsessed with avocado and chicken is the one meat I could never give up, so needless to say, I’d love these. I hope you’re taking it easy before the baby gets here – so exciting! Love your sandwich!The avocados and the chicken seems like the perfect combination to me :)So easy and so delicious! !